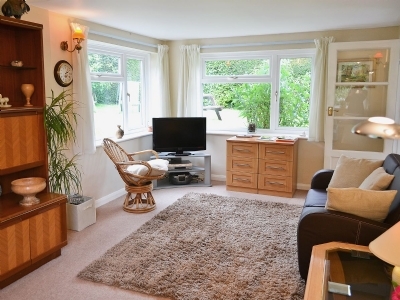 Situated on the edge of Lyminge Forest in the owner’s grounds, this detached, single-storey cottage provides cosy accommodation with its own enclosed garden. 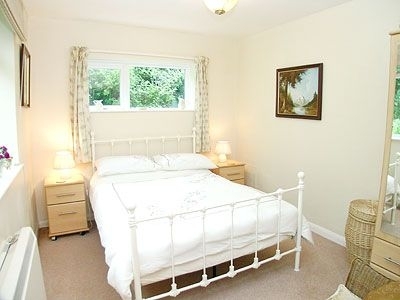 Ideal for exploring the North Downs Way, or a stroll across the fields brings you to the village of Lyminge itself. Golf courses can be found 0.25 miles away. Further afield visit historic Canterbury, Folkestone and walk along the Leas or choose a souvenir from your holiday from one of the little antique shops in Hythe - all accessible by bus close to the cottage. There is easy access to the Channel Tunnel and day trips to France, so remember your passport. Shop and restaurant 0.5 miles, pub 0.25 miles. Electricity CH, elec, bed linen and towels included. Travel Cot. Highchair. Video and small library. CD. Electric Cooker. Microwave. Freezer. Enclosed lawned garden with furniture. Parking (1 car). No smoking. The Woolpack is a 15th century inn that is conveniently located in the centre of the High Street in Tenterden. It is a charming and delightful establishment that still retains its character and a number of original features, from the low ceilings to the wooden floors, but has a stylish and traditional decor that creates a relaxed and warm atmosphere. It comprises of a pub, restaurant and six stunning hotel rooms. The pub is lively but welcoming and popular amongst both locals and visitors, it offers the perfect place to enjoy a drink amongst the relaxed surroundings. They frequently have live music that makes for a thoroughly entertaining night out. The restaurant offers informal dining amongst its cosy and warm decor. The food, staff and service is first class, food is home cooked and produced using fresh local ingredients that create a diverse and interesting menu, food is excellent and beautifully presented, portions are large and excellent value for money, and customer service is very good. 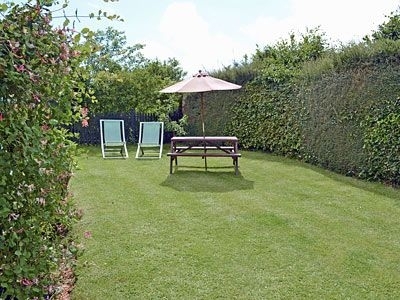 Outside are lovely gardens that are perfect on a warm summers day. The Woolpack is a lovely quaint country pub, a great all rounder, excellent hospitality, staff, food, service and atmosphere, could not fault it. The Wheel Alehouse is recognised as Birchington's only micropub. Patrons can stop by for real ales, wines and cider and enjoy friendly atmosphere and live music. The establishment also offers party and business meeting services as well as monthly quizzes. Stop by or explore the official website for current business hours and ale list. Quex Park Paintball offers an exciting way to spend any day! A total of three intense arenas are included, each with multiple scenarios that allow players to test their skills on the battlefield. Special event services are offered for parties, team building and group gatherings. Sessions include all necessary equipment so everyone can play! Tankerton Beach is an award winning beach that offers an idyllic British beach experience. It is a tranquil setting that offers safe bathing and well managed facilities, you will find it clean and tidy. The area is made up of the pretty Marine Parade promenade, grassy sloping banks and a shingle beach. The beach is recognisable by the pretty colourful wooden beach huts, that are frequently photographed. During low tide there is a pebble outcrop referred to as 'The Street' that stretches out to sea and serves as a natural promenade. The sea here is clear and pretty shallow making it perfect for paddling, exploring rock pools and the sealife. 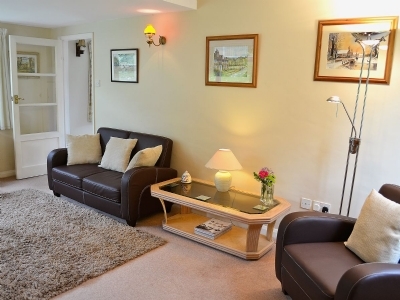 The slopes are ideal for a picnic or playing, you can observe life going by and savour the relaxed and pleasant surroundings as well as taking in the stunning views. Tankerton Beach tends not to get as busy as other neighbouring beaches, it is a lovely unspoiled beach that offers a traditional beach day with swimming, picnics and loads of fun and games, perfect for families or those that prefer a more peaceful and relaxed beach experience. The Pett Level is a stunning beach in East Sussex that offers peaceful atmosphere and a gorgeous view between Rye and Hastings. It parallels a sea defence wall that was constructed in the 1940s. when the tide goes out, beach combers can find ancient tree stumps and remnants of a fossilised forest from the pre-Ice Age period. Enjoy dramatic natural scenery and a serene atmosphere at Fairlight Glen Beach along Covehurst Bay. This East Sussex treasure starts with a wooded stretch that leads down to the water. The coastline features large rocks and sweeping cliff sides that enhance the visual appeal, although navigation may be difficult in some areas. The Old Roar Gill is a narrow valley that runs along a stream. This deeply cut land feature begins with a sandstone ridge and meanders through Alexandra Park. Explore this lovely wooded area and observe two gorgeous waterfalls, hard rock formations and the many plants and animals that call this lush region home. Walmer and Kingsdown Golf Club is a long established family orientated club that enjoys an enviable elevated position on the edge of White Cliffs Country and has some of the most astounding panoramic views. This cliff tops links course has made the most of its natural landscape creating a number of obstacles, making for a challenging round of golf, the winds can be particularly difficult. The course is extremely hilly owing to its location and is very well maintained, the greens are fast, and the fairways are wide and true. It is a very welcoming club that is as welcoming to guests as it is to members, it has a very friendly atmosphere and the staff throughout are really friendly, helpful and professional. The clubhouse is comfortable, bright and airy and offers a casual and relaxed atmosphere where you can enjoy the many facilities on offer. They have a great menu with a nice selection of snacks, hot and cold dishes, sandwiches and much more, food is freshly prepared, tasty and well presented and offers real value for money. Walmer and Kingsdown Golf Club is a genuinely friendly club, with great facilities, a challenging and picturesque course with very reasonable green fees, definitely worth playing if you are in the area. Royal Cinque Ports Golf Club is a long established and highly regarded course being considered one of the best in the world. This championship 18 hole seaside links golf course is a traditional design using the natural contours and obstacles of the land offering a challenging round of golf to all level of player. There are a number of difficulties here such as the large sand dunes, the wind also has an impact on play. The course is in superb condition, the fairways are unusual in that they are tight and also rolling, the greens are fast and well contoured. The impressive clubhouse is traditional with a warm and inviting atmosphere and is very comfortable with excellent facilities. There is also lots of history surrounding the club with lots of photos, memorabilia and famous names around the walls. The menu is superb with lots of choice, the dishes are all freshly prepared and cooked, well presented and taste delicious and offers real value for money. The staff throughout are very friendly, accommodating and professional and you are made to feel really welcome. Royal Cinque Ports Club is a course you have to play at some point, it is a fantastic course and offers a terrific test of golf at an excellent price, with a very welcoming atmosphere. Simply turn up, pay and play. It's a great way to spend an hour enjoying the outdoors. Forgotten your clubs? Don?t worry, full rental sets are available. There's also a mini-golf course for young children who like to take golf a little less seriously. Sittingbourne Golf Club is located in Tongue, Sittingbourne amongst some pretty countryside. This 9 hole 18 tee golf course is a parkland golf course, it is a good course for those new to the game of golf. The course has a good layout and is in good condition. The greens are pretty quick and true. Other facilities include a driving range and a practise putting green. The Oast House, has a traditional decor and has a lovely atmosphere, it is home to the cafe and bar and serves a good selection of beverages as well as a choice of hot and cold dishes, that are freshly cooked, well cooked and presented and offer good value for money. They are a friendly and welcoming golf club that is open to everyone. Sittingbourne Golf Club offers a good round of golf, in a welcoming club with well priced green fees. Silver Blades has a full size ice pad with seating for over 1,000 people within the arena and a relaxing café bar in bright modern surroundings. Curtis Wood Park is located on the edge of Herne, Kent, it consists of an area of protected open space, that has been awarded a Green Flag Award. The Nature Reserve extends to 4.5 hectares and is comprised of meadows, woodlands, scrub, pastures and a large pond. It offers local residents and visitors the chance to enjoy a selection of semi-natural habitats within a tranquil and relaxed setting that provides an important shelter for wildlife. You will find a wealth of wildlife, flora and fauna here including butterflies, insects, frogs, newts, rabbits, birds and in the springtime the bluebells carpet the meadow. There are large footpaths mown into the grass to provide access around the reserve in the summer months otherwise, the paths are narrow and uneven and mostly unsurfaced so not suitable to everyone. There are benches dotted around where you can sit and enjoy the beauty and peacefulness of the park. Curtis Wood Park offers the opportunity to get into the fresh open air where you can enjoy walks around this naturally beautiful site, lots of wide open spaces for children to run around in and explore and animals to find, makes for a lovely day out on a summers day. Milton Creek Country Park is the latest green space in Sittingbourne, Kent. It is an enclosed space that provides a peaceful escape from the hustle of town life. It is the result of a large investment and is formed from a former landfill site that extends to 128 acres. This space has created a safe environment with a large natural play area, a community events space in addition to a large arrangement of paths through different areas that include meadows, scrub and aquatic habitats, with three purpose built lakes. The whole area serves as a home to numerous animal species, insects, flora and fauna, it also serves as a link between the town and the creek. Along the creek path you can observe the historic wharves and consider the history of the area, a number of barges remain in the creek now serving as excellent habitats for wildlife, previously they would have been used to transport bricks, paper and London's waste around the region. This country park is in its infancy but already is well established and serves the community well with many interesting walks that are all pretty level. It is looked after by rangers who ensure the park is well maintained and can be enjoyed by its users who include walkers, joggers and cyclists. In addition they organise a number of events, workshops and activities that families and young children can get involved with, information is on the notice boards at the entrances. Milton Creek Country Park is a great place for a stroll and a picnic to observe and enjoy the local wildlife and appreciate all that the park offers. Northdown Park is located in Cliftonville a lovely coastal area of Margate. It was formerly part of Northdown House a Georgian House that is found at the edge of the park. The pretty park consists of formal walled gardens, large open spaces of natural woodland and grassland as well as a children's play area. The children's play area offers a safe and secure environment with lots of equipment that is separated into different areas. Northdown Park offers the ideal environment to run about in and enjoy walks or cycles, take along a picnic and make a day out. Alexandra Park proudly accepted the Green Flag Award for the 6th year in a row in 2010. This achievement is given to parks that are well-managed and offer a high level of value to the local community. Travellers can explore this lovely green space which is full of native wildlife. Don't forget to spend some time exploring the Old Roar Gill and Coronation Wood! Brockhill Country Park is beautiful park located in Saltwood near Hythe, it was originally part of a country estate. It comprises of a central lake, woods, meadows, picnic and play areas that are divided into three separate areas, the Lake, the Deer Park and the Valley. It is home to a wealth of wildlife, flora and fauna and offers a variety of walks. It is well maintained and cared for by the rangers. The woodland play park offers a safe and fun environment for children. There are a number of barbecue and picnic areas dotted about. The park is open daily from 9.00am to 9.00pm. Brockhill Cafe serves a good selection of beverages, light snacks and ice cream, the food is all fresh and home cooked and they cater to vegetarians, and prices are very reasonable. There is a pay and display car park nearby. Brockhill Country Park offers a wealth of scenery, fresh air, wide open spaces to explore and plenty of room for children to run around and let off steam. Posh Potions is a located on the High Street in Hythe, it specialises in all things fragrant in addition to offering a diverse range of traditional and complementary services. The salon has a friendly and welcoming atmosphere. On arrival you will be greeted by a therapist who will discuss your treatment with you, you will not be left waiting around to be seen. Treatment rooms are warm and comfortable. All therapists are friendly, qualified and professional. Aromatherapy has a large influence here and is used in many of the treatments they offer. Many of the products used are for sale and you can use these lovely products at home. Prices are very reasonable and they also offer treatment packages that represent great value for money. Posh Potions offers a friendly and professional service with excellent customer service you will not be disappointed. The Astor Theatre is a community multi purpose arts centre that hosts a diverse and interesting collection of productions. It serves to promote the arts and culture in Deal and the surrounding area. It is located in a charming historic building with many original features, positioned in Stanhope Street just off the High Street. They ensure there is a production to appeal to everyones tastes with a broad-ranging blend of music, theatre, literary events, art exhibitions and films in addition to a variety of clubs, classes and workshops, aimed at all ages and tastes. The theatre is clean and well maintained with excellent facilities, the sound and lighting are first rate, the seating is comfortable and offers good views of the stage. The bar area is relaxed and casual and the perfect spot to meet for pre show drinks. The staff throughout are excellent, friendly, polite and most helpful. The Astor Theatre is a real delight, it offers a personal theatre experience, in comfortable surroundings and a thoroughly memorable night, all for a great price, highly recommended. Lazer Rush offers the ultimate game of LaserTag. It is an indoor event so suited to any weather. You are kitted up with power pack lazer guns and the rules are explained before the madness commences. The maze is challenging being dark and it has lots of turns and corners offering ideal hiding spaces, there is lighting to guide you and music to add to the effect. It offers a fun, thrilling and energetic workout as you race through the maze trying to avoid being shot. It is suitable for those aged six and over. It is not necessary to book you can just turn up and play. They are open daily with longer opening hours at the weekend. They offer various promotions and special offers so best to check the website for these. The staff here are friendly and helpful. Lazer Rush offers a well organised game of LaserTag at very competitive prices in a fun and thrilling environment. Playhouse Theatre Whitstable is home to an award winning amateur theatre group that host a broad choice of quality plays and shows, that are for the benefit of the community. They cover everything from hard edged drama to pantomime and show movies too, in addition to having travelling shows visit. Housed in a former church building, it is a stunning theatre that resembles a west end theatre but on a smaller scale, the acoustics and lighting are excellent and there are great views from the stalls to the circle. There is a lovely friendly bar with a relaxed atmosphere, they have a good selection of drinks that are well priced, in addition to snacks and coffee. The staff are volunteers and are great, really friendly and helpful. Ticket prices are very reasonable. Playhouse Theatre Whitstable offers a quaint and enjoyable night out, that is excellent value for money and you are assured a professional production, a real gem of a theatre. Tankerton Slopes is the area where the town of Tankerton meets Whitstable. It comprises of a large grass area that slopes down towards the beach, there are steps that lead down to the beach and there is a path that leads right along the coast. The slopes are home to renowned colourful beach huts, that are a popular photo opportunity. These slopes incline gently towards the sea, they also offer the perfect place to observe the world going by. There are great panoramic views of the wartime forts and Southend that is located on the opposite side of the Estuary. In the low tide there is a long stretch of pebbles known as the street that leads out to the sea and offers a temporary natural promenade. It provides entertainment for all seasons, in the winter it is a favourite spot for sledging and snow fun, in the summer it is at these slopes that everyone gathers to watch the regatta firework, during the Whitstable Regatta. It offers a nice place to walk and there is ample open space for children to run around, it is also popular with dog walkers. Tankerton Slopes has a relaxed atmosphere and has some spectacular sunsets, and is perfect for blowing the cobwebs away. Herne Bay Little Theatre is an intimate seventy two seat theatre that is owned and operated by a highly acclaimed drama society. 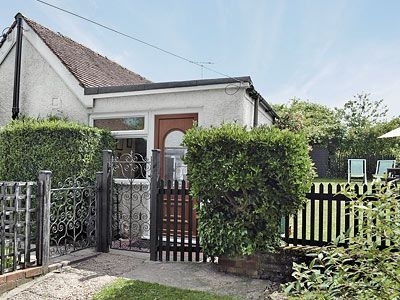 Located in an unassuming building in a residential area in the west area of Herne Bay. They strive to produce six productions a year including a pantomime, in addition to two youth theatre performances. They also welcome touring companies and host a number of social events during the year, including a monthly film club making for a busy little theatre. The theatre itself is friendly and welcoming, it decor is comfortable with all modern equipment and excellent facilities, the seats are comfortable and roomy enough and the lighting and acoustics are very good. The staff are brilliant so friendly and helpful and serve to enhance your overall experience here. Ticket prices are extremely reasonable too. Herne Bay Little Theatre is amateur theatre at it best, huge talent and faultless productions a true gem, just what every town needs. Herne Bay Memorial Park is located in the centre of the town, it is the biggest open space in the town and serves the whole community as a outdoor area for their use and enjoyment and offers a large choice of outdoor activities. The park comprises of formal planted gardens, mature trees, a lake, a play area and a number of sporting facilities. The lake is home to a number of ducks who enjoy being feed, it is also popular for sailing model boats. The war memorial garden is found at the end of a tree lined avenue and has a brilliant display of flowers, and provides a peaceful area to sit and enjoy your surroundings, there are benches provided. Other areas of interest include the sensory and community kitchen garden that are looked after by volunteers from the local community and organisations. The park is well maintained and very clean, making for a relaxed and pleasant visit. If you are looking for some activity then you can head to one of the tennis courts, basketball courts or to the sports field area where you can kick a ball about. The children's play area offers a safe environment to play amongst, with lots of fun equipment . The park is open daily from early till late offering ample opportunity to enjoy its facilities. Herne Bay Memorial Park is a fabulous open space that offers a retreat from the hustle and bustle of the town, here you can enjoy the peace and beauty of the park and all the facilities it provides. Chapel Down is based in Tenterden in Kent, it is a premium and highly awarded wine producer in the UK as well as an innovative drinks company. They produce the grapes in their own and partners vineyards across the South East of England to develop world-class sparkling wines, still wines and craft beers produced using traditional methods. They are capable of producing almost one million bottles of still and sparkling wines a year. They are innovative in that they continually strive and push the usual boundaries by blending new and traditional wine making methods to create varying styles of wine. You can visit these incredible facilities, they are open daily all year round from 10.00am to 5.00pm and offer guided tours from April through to November, that involves a wine tasting session. You are introduced to the whole process from the vine cultivation and growing, to picking, pressing and bottling, tours last about an hour. Staff throughout are fantastic, very friendly, helpful and importantly passionate about the process. The Swan restaurant is delightful, modern and stylish, with a relaxed atmosphere, it has a diverse and interesting menu, the food is excellent home cooked and produced using fresh local produce, the result is great tasting dishes that are well presented and excellent value for money. The shop sells wines, cider and beer as well as cheeses, glasses and decanters, there some nice items here, and you can do some more tasting as well. A visit to Chapel Down provides for a great day out, the overall experience is fantastic, informative and interesting and really well organised and excellent value too at only £10 per person. Kent and East Sussex Railway is the best example of a preserved rural light railway. The line commences at Tenterden and gently saunters along the ten and a half mile track through the glorious and natural countryside of the Rother Valley, with the line ending at the castle at Bodiam. The rolling stock are clean and well refurbished, they include steam locomotives and a 1950's dmmu, so you get a real feel of travelling by train in a bygone era. Most of the level crossings are still gates that are operated manually. There are a choice of ticket options the one that offers the best value is the all day hop-on, hop-off Rover fare you can use the train all day and get off at any stop explore and get on again. The Station Refreshment Rooms at Tenterden provide a pleasant and cosy venue where you can enjoy a selection of hot and cold dishes, as well as snacks and ice cream, you can opt to sit inside or outside where shade is offered by the surrounding trees, or on the nearby picnic benches. There is a children's play area located across from here. At the Souvenir and Gift Shop in Tenterden you can purchase a selection of gifts or train memorabilia and souvenirs as well as tickets or driver experience days. Different trains operate on certain days throughout the year and most weekends but everyday in August, the full timetable can be obtained on the website. In addition they host a range of themed and activity days that are great fun especially for families, as well as Murder, Mystery nights. The staff throughout are fantastic, very friendly and extremely helpful and knowledgeable and happily answer your questions. Kent and East Sussex Railway is a delightful railway that takes in some stunning countryside and allows you to appreciate a time when trains were the kings of transport, it is very nostalgic as you meander through the countryside and hear the lovely sound of the steam whoosh, enjoyable for all even you are not a train enthusiast. Kavanagh Cinema is ideally located in the centre of Herne Bay beside the leisure centre. They are an independent cinema that opens daily showcasing the newest releases each day, as well as live theatre streaming and much more. It is a small venue but offers a more personal and enjoyable experience than the multi-plexes and for a fraction of the price. It resembles an old cinema going experience within a relaxed and modern atmosphere. There is a shop that sells a selection of snacks and beverages, no alcohol available. The premises are spotless clean and well maintained. The seating is comfortable with adequate leg room and the sound and screens are very good. The staff here are really friendly and helpful. They also operate a Wednesday morning show with free tea/coffee and a biscuit. Kavanagh Cinema offers a more personal and enjoyable cinema experience, a real gem and what every town needs. Herons Leisure Centre is suitably located close to the centre of the town in Herne. Their facilities are open to both members and non members, and you can enjoy a range of activities including swimming, gymnasium, dance and fitness classes, aqua classes, roller skating, badminton, bowls and much more. They cater to all level of fitness and the aim is assist you in improving your health and fitness levels in turn making you feel better. Their large choice of classes and activities cater to all ages and interests and are taken by professional and encouraging instructors. The swimming pool offers swimming lessons as well as lane swimming and for families there is Family Fun Time which, involves inflatable's, then there is Water Walkers in addition to the Giant Flume and Beach pool, children love the facilities here. The staff throughout the centre are fabulous, friendly, helpful and above all very professional. If you require any advice or assistance with getting active or fit you can talk to one of the staff members, who can arrange a suitable programme for you. The cafe serves a selection of high quality beverages, snacks and hot and cold meals. If you are spectating you can watch the children in the pool from the seating area here at the cafe. The centre is open daily but opening times vary, full details can be obtained from the website, as well as prices for the various activities. Heron Leisure Centre offers a full range of activities within a clean and safe environment as well as extensive opening hours Monday to Friday, so they can cater to everyone, a great local leisure centre. The Central Bandstand is an immediately recognisable and prominent feature along the coast here in Herne Bay. It can be dated back to 1924 and was further extend in 1934 with an art deco frontage and has underwent a careful restorative process in the late 1990's. Its purpose when it was initially erected was to host visiting military band concerts and for tea dances. The bandstand is well maintained and cared for and there are pretty flower beds surrounding it. It continues to offer an olde worlde seaside charm to the area. Also it offers a nice place to sit and relax as you watch the world going by, there is plenty of seating available. During the summer months it occasionally hosts live performances, craft fairs, children's events and stalls. It is also home to a Bar, Coffee Bar and Ice Cream Parlour. The Central Bandstand is an important part of the towns history and offers a pleasant place to stop if walking the promenade or shelter on a wet or windy day. The Downs is an area of cliffs that slope down to the beach, there are flat grassy areas at the top, natural scrubland with various paths and below is a shingle beach. They extend to 7.5km and cover about 72 hectares. They run from the Hampton area in the west to Reculver County Park in the east, where you will find a visitor centre, with all the information you need and suggested routes. The scrubland provides a natural and important habitat for a wealth of bird and animals as well as being home to a number of valuable plant species too. 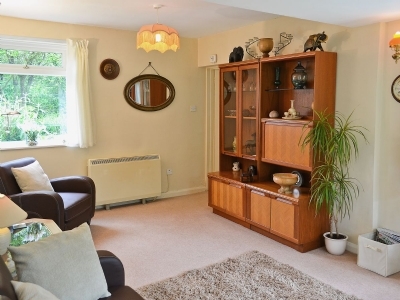 The area provides the perfect spot to enjoy the outdoors with fabulous views, great walks, cycling, dog walking and an abundance of wildlife, flora and fauna. You will find information boards along the way telling you the points of interest and what birds, flowers and animals can be found here, as well as the different routes you can take. There are lots of benches to rest awhile and enjoy the scenery and peace and quiet. It is a popular area with families, who come to fly kites, have a picnic or just make the most of the open space. The Downs offer the best of the British countryside, astounding views, beautiful landscapes and wonderful walks definitely worth a visit if you are in the area. Connaught Bingo and Social club is an independently owned club that is long established and highly regarded here in Herne Bay. Conveniently located right on the sea front, it is a very friendly and welcoming club and you are made to feel at home it has a completely different feel to the big bingo venues, offering a more traditional bingo experience. It offers main stage bingo, electronic boards and mini-cash bingo. It doesn't cost anything to become a member. There is an good menu offering a good variety of dishes that are really reasonably priced and tasty too and the drinks are also great value. They offer a great range of prizes. They are open seven days a week, opening from 12.00pm Monday to Saturday and 6.00pm every evening. Connaught Bingo and Social Club offers a big dollop of old fashioned fun with great prizes, in an exciting and energetic atmosphere, making for a thrilling bingo experience. The infamous sound and light show opens up the town?s local history and the fascinating walking tours on offer allow visitors interesting insights into the town?s rich heritage. Enjoy an exhibition of the old arcade games that once dominated all British seaside resorts or for the more brave souls amongst you take the ghost tour and learn of local legend and folklore. AquaManda is a premier and luxurious health centre found in Hampstead House, situated in four acres of glorious countryside in Sittingbourne. The facilities are first class and include a 15m heated indoor pool, hydro therapy pool and Jacuzzi, sauna and steam room, fitness studios, gymnasium, treatment suite and relaxation room. The treatment room offers the ultimate in relaxation and extravagance amongst the sumptuous surroundings, all treatments are carried out by professional and qualified therapists, and will discuss your treatment with you. The gym is fully equipped with all the latest equipment, offering the ultimate workout. You can also engage in a range of fitness classes that are aimed at all fitness levels. You don't have to be a member to enjoy the facilities here. They are open daily from early morning and closing times vary during the week. The Brasserie is also open daily and has a warm and welcoming decor with a casual atmosphere, there is a nice menu with a good variety of dishes, the food is freshly cooked, delicious and excellent value. Staff throughout are lovely, very friendly, approachable, professional and helpful and customer satisfaction is paramount here. AquaManda offers an indulgent experience in beautiful surroundings, with excellent customer service and facilities, the prices are very good and represent very good value, highly recommended, you will leave refreshed and revived and wanting to return again. Drapers Windmill is a smock windmill that was constructed in 1845 by John Holman, a Canterbury millwright. It stands proudly on one of the best hills in Margate and offers the most fabulous views around. Its purpose was to grind corn, it operated by wind power until 1916 and at this time a gas engine was installed to power the mill during calm periods. By 1927 they had taken away the sails and fantail and the mill operated solely by the engine. By the mid 1930's Drapers was closed owing to milling being done at large central mills. During the period 1965 to 1974 it underwent a careful and sympathetic restoration, to bring it back to its original splendour. It is one of only three surviving working mills in Kent. The guided tours are both informative and interesting and you get to find out all about the history of the mill and the whole grinding process, there are lots of stairs involved to get to the top but again you are awarded with the most amazing views. Outside is a small shed where the preserved gas engine is stored. It is an incredible sight to see the windmill in action. The mill is open for viewing In June and July on Sundays only from 2.00pm to 4.00pm and in August on Saturdays and Sundays from 2.00pm to 4.300pm, appointments can be made outside of these times. There is no charge for these tours but donations are welcome. There is a nice little shop too where you can purchase postcards and souvenirs. The staff are all volunteers and you will find them to be extremely friendly, passionate and knowledgeable, they are a real pleasure to talk to. Drapers Windmill is a majestic and imposing structure and a delight to see in full operation, and the views are breathtaking. Theatre Royal is a charming historic grade II listed Georgian theatre ideally located in the heart of Margate. It is a cultural and entertainment hub here in the local community showcasing a diverse programme of touring dance, drama and recognised comedy acts. It is an amazing venue, this charming building is beautiful with many fine original features and it has a lovely friendly atmosphere and represents what a theatre should be. It is not a huge theatre and therefore makes for an intimate and quaint venue where you van get involved with the show and even have the opportunity to meet with the performers at the end. It is cosy and comfortable and the seating is roomy, the lighting and acoustics are excellent. There are a couple of nice bars where you can enjoy pre-show drinks. The staff throughout are great, friendly, helpful and very professional in their approach, making for a pleasant experience. Theatre Royal gives you a glimpse into how theatres used to be, although old fashioned it has all the modern conveniences, fabulous shows, reasonably priced tickets and assures an excellent theatre experience overall. The Droit House is located on Stone Pier in Margate, it is a charming Grade II listed building that has underwent a careful restoration project and now serves as a Visitor Information Centre. A range of servicess are offered here from assistance in booking accommodations or theatre tickets, to information on local events as well as maps, visitor guides and brochures on the local area and neighbouring towns. You will also find a collction of temporary exhibits here, generally by local artists. The centre is open daily throughout the year, opening times vary depending on the time of year. The staff who work here are very friendly, helpful and knowledgeable and happy to make suggestions of things to see and do whilst visiting the region. A useful centre if you are visting for the first time. Genting Casino in Margate offers the best night out, one full of fun, excitement and entertainment. There is the opportunity to play all your favourite casino games and more here. The casino has a relaxed atmosphere and is clean and well managed. They are open daily from 11.00am to 6.00am with live gaming from 2.00pm. Staff are friendly, interactive and above all professional ensuring a great night out. The dress code is smart casual. Membership is not necessary and you have to be over eighteen to enjoy the facilities, identification will be requested if you look under the age of twenty one. There is a bar that is lively, trendy and stylish and offers a great selection of drinks, in addition there is a restaurant that serves a good selection of hot and cold dishes including a number of favourite dishes and daily specials, they are freshly cooked, tasty and reasonably priced. Lovelys Gallery is located in Cliftonville and is only a short walk from the Turner Contemporary Gallery. It is also Kents oldest independent art gallery, opened in 1891 by Edward Lovely and is still run by the family today. This contemporary gallery is bright and airy, has a lovely atmosphere and you are offered a warm and friendly welcome. It is home to a frequently changing collection of varied artwork from professional local and internationally recognised artists. They have on display a large choice of traditional and contemporary artwork from more than fifty local and international artists covering a broad selection of styles and techniques. In addition they offer a bespoke framing service and a picture cleaning and restoration service. They also have a substantial Art and Craft department that has everything the discerning artist or crafts person will need. A range of demos and workshops are also operated throughout the year, all details can be obtained from the website. The staff are lovely, friendly, attentive and very knowledgeable and are happy to discuss the artists and works with you. Lovelys Gallery is a highly regarded and established gallery that hosts an impressive collection of quality paintings, prints, ceramics, sculptures and more, you are sure to find a special piece or just pop along to enjoy the delightful works on display, well worth a visit. Bugsy's Tenpin Bowling is a family run establishment that is ideally located near to the beaches of Margate. It is a spacious, and bright facility that is clean and well maintained. It comprises of twelve lanes as well as American pool and snooker tables, and a gaming arcade. In addition there is a fully licenced bar and diner that serves fresh food, throughout the day, portions are large, the food is tasty and the prices are reasonable. The prices here are very competitive and they also have a range of special offers. The customer service is very good and the staff are very friendly and attentive. Bugsy's Tenpin Bowling offers a friendly and welcoming bowling experience at very reasonable prices. Tom Thumb Theatre are a family run arts venue located in the centre of Cliftonville, Margate. They are located in an a former Victorian coach house that was adapted to become one of the smallest theatres in the world, it only sits about fifty people and is like having a theatre in your front room. It is a quirky but charming venue with many influences in its decor, it consists of a brilliant blend of Japanese and Alpine architecture and the interior exudes warmth and elegance with its velvet seats and flocked wallpaper. They host a diverse programme of quality and entertaining events including, comedy, story telling, burlesque, screen indie films, promote live bands, solo artists and DJ's. Many famous entertainers have preformed here over the years. There is a quirky cocktail bar with a warm and vibrant vibe where you can enjoy a selection of cocktails from jam-jars, prefect for pre or post show drinks. The staff are lovely so friendly and helpful. Tom Thumb Theatre offers a unique and unrivalled experience you won't get in any other theatre venue and makes for a memorable night out, one of the coolest places you will visit, highly recommended. To sum up a big theatre in a small venue. Walpole Bay Hotel Museum is ideally located close to the seafront in Margate, it is a charming and eloquent historic building. Stepping through the doors of this unique hotel is similar to taking a step back in time, it represents a golden age of glamour and luxury in history. First built in 1914 and further extended in 1927, the current owners are striving to recreate this old world glamour and are doing very well. It has a warm and welcoming atmosphere with many interesting and original features on show many are immediately evident not least the 1927 Otis trellis gated lift, and gas lamps that are still operational as well as the open fireplaces. It is a living museum and all around you in the Reception, the Lounge, Bar and Dining Room are display cabinets that are filled with lots of interesting artefacts and antiques from a bygone era, like toys, Victorian dolls, prams, sailors uniforms, golliwogs, glasses and much more. All five floors of the Walpole contain interesting exhibits, paintings and photographs. Outside is a delightful and relaxing flowered deck that provides lovely sea views. There is no charge to visit the museum. The staff are lovely, very friendly and helpful, nothing is too much bother. Walpole Bay Hotel Museum is a quirky but thoroughly unique hotel with a fabulous collection of original items, furniture, wallpaper and much more, a real Aladdin's cave. Don't forget to check out the Leigh Gallery during your visit to Hasting's Old Town! This captivating gallery was established in Bloomsbury in 1982. It later moved to its current neighbourhood in 2001. Curious shoppers can find a lovely selection of unique items that range from paintings to glass, ceramics, decorative boxes and other amazing pieces. The Electric Palace is a unique independent digital cinema nestled in Hasting's Old Town. The venue was specially developed to cater to film presentations and similar events. Audiences regularly attend to take in screenings of classic, world and contemporary cinema. Travellers are invited to book in advance to make sure they have a seat during their stay! Priory Meadow is a shopping centre with all you'll need under one roof — clothes shops, electrical shops, music shops and restaurants, and bars for when it's time for a break. Everyone has a great time when they visit Flamingo Amusement Park! This family-friendly attraction contains an array of exciting rides and activities. Hop on Cinderella's carousel or explore the ShowTime funhouse. There's a ghost train, bumper cars, thrill rides and much more! The grounds include an on-site ATM and cafe. Art lovers should not miss a chance to stop by the Rebel Gallery in Old Town, Hastings. This independent collection features the amazing work of imaganist Suzanne Powell and photographer Jon Wilhelm. Previously known as the Huldrick Studio and Gallery, the Rebel Gallery forms the cornerstone for art in Old Town. The Tablet Gallery in Hastings offers fine art for home or business. This fascinating retailer offers a wide variety of stunning pieces. Find something to hang on a wall, look for limited edition pieces or pick up a high quality dishwasher safe mug that was individually printed with the work of Gavin Luker. Explore the Old Gallery and get a better perspective on Hastings and the people who thrive there. This unique collection includes eye-catching interpretations of many of the area's key landmarks and cultural icons. Each was painted with love and care by Andrew G. Dennis, a man who grew up in the area and has come to admire it's many beautiful features. Adventure Golf Hastings offers a fun way to spend any clear afternoon! Don't just play miniature golf, dive right into a beautiful landscape that was heavily inspired by sunny Florida. The course includes 7 waterfalls, over 37 fountains, a cave, Tikki poles. Some fountains also produce an amazing dancing water display! Capstone Farm Country Park is a premier green space covering 114 hectares of previous farmland on the North Downs, it is well maintained and clean. It is home to a diverse range of habitats comprising of ancient woodlands, old orchards, a freshwater lake, meadows and hedgerows. It also provides great opportunities for walking, running, cycling and more. The park is home to a mountain bike course, trim trail and a number of marked routes for cycling, running and walking, they are clearly marked with coloured arrows and well maintained. The children's park is large and well equipped with an adventure playground. Also on offer is the opportunity to fish, a ticket is necessary to fish here, you can purchase a daily ticket. There is a small coffee shop where you can get beverages, light snacks and hot and cold dishes, it has indoor and outdoor seating, you can also purchase food here to feed the wild fowl. Regular wooden benches offer the opportunity to sit and enjoy the park. The visitor centre is staffed by rangers, you can get a wealth of information here about the park and its local wildlife. there are also interactive exhibits and they are happy to answer your questions, the rangers are really nice, friendly, accommodating and knowledgeable. Capstone Farm Country Park offers a place of peace and tranquillity where you can escape from the sprawl of the busy towns, and enjoy the nature that resides here and offers plenty of opportunity to enjoy the wide open spaces, kids will love running about, hiding in the trees or making dens, a great family day out that is free. Claremont Studios is a community venue that is committed to offering assistance and encouragement in innovative conditions, where artists can grow and learn which, in turn will benefit the cultural life of the local community. The gallery is bright and modern and displays the work of the artists on the walls and shelves, you will also find a selection of unique high quality gifts for the home, yourself and little ones. The studios are operated by professional and friendly staff who have a vetted interest in assuring the continued success of this community venture. The artists involved here are all professional and talented and use a variety of mediums to showcase their works. They also operate art classes. There is an area of the gallery where you can sit and enjoy a selection of hot and cold beverages and a choice of home baked goods. They operate a number of events throughout the year so it is worth checking the website for these. Claremont Studios offers a warm and welcoming environment where you can enjoy prime art and a coffee in the relaxed environment of the studios. Lucy Bell Fine Art is a gallery located in St Leonards on Sea, it's purpose is to advocate the exhibition and selling of Fine Art Photography, in addition to presenting talks, workshops and portfolio reviews. Exhibited are a diverse and interesting collection of work from professional artists, amateurs and university students all given equal credence. The gallery boasts a colourful and interesting range of exhibits to date. On sale at the gallery are prints from past exhibitions, they can also obtain work from other photographers. It is a pleasant gallery that is both welcoming and the staff friendly and helpful. If you are looking for alternative things to see and do whilst here then head to Lucy Bell Fine Art. Hastings Arts Forum can be found on the sea front at St. Leonards Marina, it serves as an art community and gallery for the local community. The purpose is to be a centre that is committed to publicising and growing an arts awareness in the town. The exhibits change frequently so there is always something new to see here, with many different disciplines and mediums on show, from a diverse range of artists. The showroom is bright and airy and each piece is well displayed, showcasing the talent of the artists. They are open daily from 11.00am to 5.00pm. During the year they organise a number of events, classes and workshops so keep an eye on their website for these details. Hastings is beginning to emerge as a cultural centre in the UK so it is not difficult to see the popularity of Hastings art Forum. Discover a magical time travel adventure for the whole family at award-winning social history attraction, Yesterday?s World. Set in a charming 600 year old hall house and new state of the art exhibition centre, it features the backstreets of Victorian England, Queen Elizabeth II's coronation and fashions of the psychedelic seventies. Buckmore Park is a go kart facility that offers adrenaline-pumping excitement for travellers of all ages. Adults, children and groups can book sessions behind the wheel. The bold can try out for one off events and participate in championship racing competitions. Laser warfare parties and an on-site cafe are also available. Gillingham Spiritualist Church is a friendly and welcoming church offering a place of solace, healing and reflection. On the first Saturday of each month they operate private readings through acknowledged local mediums. Healing is provided after services as well as on the first Saturday of each month. They also offer classes, workshops and circles catering to all stages of psychic and spiritual development. The staff here are friendly and helpful. You can purchase tea and coffee for a nominal amount. Also look out for their fayre's and demonstrations that take place during the year. St Leonard's Church is situated in a beautiful elevated position in the town of Hythe, it looks in the direction of the coast of France. It is a gorgeous church with wonderful architecture and an extraordinary crypt, it is one of only two ossuaries in England. The church can be dated back nine hundred years and continues to be a place of reflection and worship to the the local residents and visitors. It has a very warm and welcoming congregation. There are regular services that you are welcome to join, full details are on the website. This tiny crypt is open throughout the week and there is a small charge for admission, here you will find the biggest and best-preserved collection of ancient human skull bones in Britain, they are organised on shelves in four arched bays, as well as a sole large stack of mostly thigh bones and some more skulls and are thought to date back to the 13th and 14th centuries. The church has an interesting and varied history and this is evident by the various additions made over the years, it also has many interesting features including the roof in the nave, vaulting to the chancel, the pulpit, marble reredos, stained glass window and organ. The church has a dominant musical heritage and a number of regular concerts and recitals are held here, ticket prices are very reasonable and the quality of the acoustics and performances are excellent. The guides are very friendly, knowledgeable and their talks are intriguing and animated. St Leonard's Church is an alluring place to visit from the weird but fascinating crypt to the architecture it has many fascinating features and wonderful views from the churchyard, definitely worth a visit. Crypt of St Leonard is one of only two ossuaries or charnel houses in England. This small crypt is home to the biggest and best-preserved group of ancient human bones and skulls in Britain. The crypt is well organised with the skulls arranged on shelves in four arched bays that comprise of a total of 1,022 skulls in addition to a single stack of thigh bones and skulls. It is not known exactly where or when these bones came from but it is thought that they were dug up from the graveyard during an extension of the church in the 13th and 14th centuries and stored here. It is a fascinating but macabre. The crypt is open daily and there is a small admission charge. Guides will give you a tour and you will find them to be friendly, knowledgeable and their talks are animated and full of information, they tell you about the various marks, holes and blemishes on the skulls. Crypt of St Leonard is a curious spot but very different, it is a unique experience and certainly worth a visit. St Leonards Church although a parish church is located just on the outskirts of the town. There has been a church on the present site since at least 1180, part of the current church dates back to this time. It derives its name from St Leonards of Limoges an Abbott who resided in France during the 6th century. The current church has underwent many alterations over the years and represents a number of architectural styles and comprises of a number of important features, including, the Nave and chancel, cupola, six bells and clock. Owing to how it has been developed it has a unique look and is certainly not the prettiest looking building. The interior also defies normal convention with the majority of the congregation sitting to the side of the altar as opposed to the usual facing the altar. It has a pleasant interior with lovely carvings and fine Jacobean panelled wood work, memorial tablets and tombstones, brasses, stained glass windows and the galleries are unusual too. There are a number of events and activities that are organised during the year to help with the preservation and upkeep of the building. There are regular church services and you will find the congregation to be friendly and welcoming. St Leonards Church is an intriguing building, it has a rich and diverse history and has a calm and reflective atmosphere where you can relax and enjoy the surroundings. Walmer Castle and Gardens are located next to the sea. This magnificent Tudor castle is beautifully preserved and is set in eight acres of stunning gardens, woodland with amazing sea views. It was constructed as a coastal fortress by King Henry VIII, and has had a long and distinguished history being a rural home for the Lord Warden of the Cinque Ports, it now serves as an impressive stately home. It has played an important role in protecting the country and this part of the castles history is evident in the basement, where you can see the various gun ports, and the cannons lined up on the bastions pointed out in the direction of the continent. An important and former resident here at the castle was the Duke of Wellington, he spent a total of twenty three years here, his bedroom has been restored to how it would have been and you can see the armchair in which he died and his campaign bed. There is also a large exhibition celebrating his life and his achievements. You can take an audio tour of the castle which, gives a good commentary on the various rooms, together with additional facts and information, it serves to enhance your visit. The gardens are beautiful and so well maintained, particularly stunning is the Broadwalk Garden that has undergone a major restoration programme resulting in their current glory, they are awash with colours and aromas when in bloom. The Kitchen Garden has been producing fruit and vegetables for the castle for nearly three hundred years and also supplies the tearoom. The Queen Mothers' Garden is a contemporary garden designed to celebrate her 95th birthday, other areas of interest are the greenhouse, moat garden, oval lawn and the woodlands offer lots of pleasant walks. The Castle and Gardens are open daily from 10.00am closing time vary's depending on the time of year, there is a small charge for entry, full details are on the website. Lord Warden's Tea Room uses the produce grown here in the castle in creating the delicious choice of hot and cold dishes and scrumptious cakes and scones it produces. A number of events and activities are organised during the year with many focused towards younger visitors, these are fun and entertaining and worth watching out for. Walmer Castle and Gardens transports you back in time to a bygone era, it is brimming with historical importance and the grounds are simply wonderful there is so much to see and do here and there is something for everyone, highly recommended. Deal Maritime and Local History Museum is ideally located in the centre of Deal, in a charming historic building that dates back to 1803. Although it only a small venue it is home to an impressive and considerable collection of artefacts and archives covering the history and development of Deal, Walmer, Kingsdown and the surrounding areas. The rich maritime history of the area can be dated back to Henry VIII, housed here are a figurehead ship's bell as well as the only two known examples of carved spar boards from the owner of the Cutty Sark, in addition to a superb collection of model boats, lifebelts and jackets, photographs and paintings, stories of smugglers and boats wrecked off the coast as well as the survivors of these disasters. There is a further display of Royal Marine memorabilia. Local history and domestic history of the town is narrated through a series of displays, there are some unusual artefacts such s a giant shoe from a local shoe shop. There is lots of details on past residents both famous and infamous. The exhibits are well displayed and presented. It is open from April through to October and there is a small charge for admission, full details are on the website. During the year a number of events are organised so it is worth looking out for these. There is no cafe but you can buy beverages and snacks here. The staff are really nice, friendly and helpful and will gladly answer any questions that you might have. Deal Maritime and Local History Museum is a gem of a museum, crammed with artefacts and information on the past history of the area, it is interesting and informative with something for everyone, should not be missed if you are in the area. All Saints Church is located in the centre of the town, and a church has stood on this site for more than eight hundred years. The current church dates to the 13th century and still serves as a place of spiritual guidance, worship, reflection and is an integral part of the community. They are a friendly and welcoming congregation and extend a warm welcome to all. This charming church still retains some original Norman features including the tower, the Norman font with its Tudor cover as well as the 15th century arcade found between the nave and the north aisle, other items of interest include a tablet dating to 1444, sanctuary lamp, altar and seafaring windows. They have regular services on a Sunday and Thursday, details are on their website. All Saints Church is of historic and spiritual importance here in Whitstable and serves the community well, it is a lovely place to visit to appreciate the peace and harmony it offers. Smallhythe Place is a charming historic house that was constructed in the early 16th century. It was the residence of the well known Victorian actress Ellen Terry, who bought it in 1899. The house serves as a memorial museum to her life having been established by her daughter Edith Craig in 1929 and is home to an intriguing personal and theatrical collection that accentuates her amazing career and unorthodox personal life. Within the grounds are a cottage garden and a delightful 17th century thatched Barn theatre that offers the chance to see a show with a regular programme of talks and shows, it is amazing to discover all the famous actors who performed here. They also host live productions from here, so worth looking out for these, it makes for a really special occasion. The main house is quintessentially an English cottage that has been well preserved and contains many of the original features and furniture and is pretty much as it was when she died. You will find a selection of her costumes, jewellery, loads of theatrical equipment, books, letters and lots more here. Outside are pretty gardens that include a pond. There is a nice cafe that serves light refreshments, freshly made and very good value for money. You can also buy garden produce whilst here. For younger visitors there is a quiz and also activity packs available. The property is open Wednesday through to Sunday and on Bank Holiday Mondays from March through to October, and there is a charge for entry. 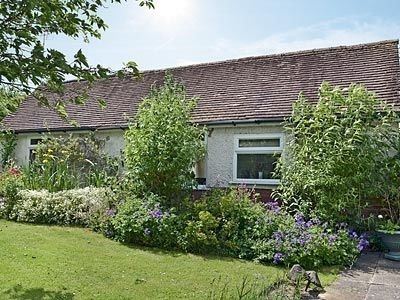 The staff are really nice friendly and approachable and with lots of knowledge on the house and its owner and have lots of stories to tell, making for an interesting visit, there is also a small booklet available. Smallhythe Place is a real gem, from its creaking and sloping floorboards to its intriguing history and lovely grounds, it has lots to offer and makes for a pleasant visit. St. Nicholas was founded in the 13th century. The structure has seen two expansions since the 16th century, after joining with the lesser known All Saints, Shuart parish and later the St. Giles, Sarre parish. This important religious landmark includes an underground medieval chapel. The chapel is privately owned but occasionally opens to visitors. The Powell-Cotton Museum offers one of the most fascinating collections of natural history exhibits in the region. Many exciting treasures from the deepest, darkest places in the world reside here. The collection was established by Major Percy Horace Gordon Powell-Cotton in 1896 and continues to captivate visitors with its extensive list of artefacts, displays, information and much more! All Saints is recognised as the oldest building still standing in Birchington. Located at the village centre, the church is positioned approximately 3/4ths of a mile from the shore line. Although it is not confirmed, many historians believe that the site was home to a previous church during Saxon times. Many dramatic changes were seen throughout the years. No matter what has changed, the church still lights up at night to welcome wary travellers. Sittingbourne Heritage Museum is located in East Street between the shops. It is a small and relatively new museum with the collection only starting in 1970 by a local Councillor, today it is home to a large collection of items, memorabilia and artefacts representing a bygone era. There is lots of information pertaining to the cultural, heritage and history of the town with lots of emphasis on the war and its industrial past. The collections are well laid out and displayed. The Museum is open each Saturday from April onwards from 11.00am to 3.00pm, there is no charge for admission but, they do accept donations to help in the upkeep of the museum. Group visits can be arranged outside of these hours, by pre arranged appointment. The museum shop opens every Tuesday and Thursday afternoon from from 1.30pm to 4.00pm. The volunteers are lovely, very friendly, knowledgeable and helpful in answering questions on both the exhibits and local area. Sittingbourne Heritage Museum is a real gem of a local museum with lots of interesting information and facts waiting to be discovered, highly recommended. Holy Trinity Church Sittingbourne, has a long history with a presence here in the town for more than six hundred years, it continues to offer a place of worship and reflection to the community. 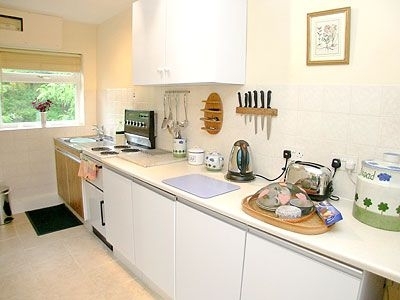 It enjoys a lovely location positioned right on the edge of the marshes. Sundays have regular worship services. They are a very friendly and welcoming congregation and extend a warm welcome to all visitors. This lovely church has many redeeming features, it is home to two organs which, is unusual, as well as claiming to have the thickest-walled Norman towers, that is home to six bells. The church is open to visitors every Friday afternoon and all day Saturday throughout the summer. Volunteers are responsible for the upkeep of the church and will happily show you around and answer any questions that you might have. Holy Trinity Church is a lovely church with lots of character and an ethereal atmosphere. The Shell Grotto is located at Grotto Hill in Margate, which, is just a normal street, it was accidentally found in 1835, and it is not known how or when the Grotto came about, but it is now a Grade I listed structure. This unique venue is home to 4.6 million shells, seventy feet of winding underground passages that take you to a rectangular chamber, in total 2,000 square feet is covered in mosaics that create wonderful and intricate patterns and symbols, it must have some commitment and dedication to create this mesmerising mosaic. The grotto is constructed of a mixture of cockles, whelks, mussels and oysters that are showing some wear but, unfortunately owing to their delicate nature not much preservation work can be done. Access is via a chalk stairway to the small chamber. The Grotto is open daily and opening times vary depending on the time of the year and there is a small charge for admission, full details are on the website. During the year they organise a a number of events, talks and performances again details are on the website. There is a small gift shop, that sells pretty shells, books, fossils and cards, and a tea shop, the staff are lovely, friendly and helpful. The Shell Grotto has a certain air of mystique and intrigue as no one knows how it came about, it is a unique experience and should not be missed if you are in the area. Margate Museum is located in an attractive heritage and listed building that previously served as a police station, it is not far from the sea front and is tucked away in Margate's bustling Old Town. It is not a particularly large museum and is located over two floors and depicts the history of Margate and its people, the growth of the town as well as its prominent position as a seaside town in Britain, it also covers the towns culture and heritage. There is a diverse and interesting collection of exhibits ranging from an Iron Age burial pit to a Victorian ambulance and exhibits on WWII, there is lots of memorabilia, information on maritime Margate, old prints, models, paintings and maps tracing the towns history, interesting facts, it also has temporary exhibits that change frequently and cover a whole range of topics. The police cells are still downstairs and the court upstairs so it has a real atmospheric feel about it and you get a sense of what it would have been like to be held in these cramped cells waiting to go to the courts to see what your fate was going to be! It is well laid out and the displays are clear with lots of attention to detail. The staff are excellent extremely friendly and above all very knowledgeable, they are more than happy to show you around and answer any questions that you might have. The museum is open throughout the year on various days, the website has full details, there is a small charge for entry for adults and an additional charge to visit the Tudor House which, is located nearby. Margate Museum is a real treasure of a museum full of interesting information with lots to appeal to all ages and interests, full of interesting facts and exciting exhibits, a must if you are visiting the Margate area, you will not be disappointed. Nestled at the centre of Old Town in Hastings, the Stables Theatre and Arts Centre can be located inside a charming 18th century building. The venue originally opened its doors in 1959 and was later improved and expanded to include 126 seats. Each year sees 10 unique productions at the facility. These include the finest amateur performances as well as touring professional productions and local groups. The museum houses lots of interactive exhibits and hosts a variety of different events running throughout the year — an up to date list can be found on the website. The Shipwreck Museum can be found right along Hasting's shoreline. More than a million visitors have explore the unique collection of maritime exhibits featured here. Learn more about local history while taking in some fascinating tales of life on the high seas. Friendly staff are available to answer questions and help guide you as you discover this important landmark. The Fishermen's Museum in Hastings is one of the most popular landmarks in the area. This attraction is available almost every day and has seen more than 140,000 visitors. It was originally formed in 1956 as local residents worked to preserve Hasting's rich maritime history. Today visitors can tour an extensive collection of nautical memorabilia while learning about the region's past. Explore a cosy place full of unique retail opportunities and much more! Old Town in Hastings offers many wonderful ways to spend an afternoon. Discover amazing treasures by browsing one of the antique dealers or stop by a fine art gallery for a bit of inspiration! The area includes independent fashion boutiques, bookshops and a warm bohemian style. St. Leonard, Hollington became a popular destination for visitors who wanted to see the tranquil beauty of the "church in the woods." It was also a preferred choice for many burials, memorials and clandestine marriages. New housing was added during the 1970s onward, which reduced much of the tree cover. Burton St Leonards is the historic centre of Hastings, construction commenced in 1828 by Burton, along what was a deserted stretch of coastline. It is located to the west of Hastings and the area is home to a collection of Regency and some of the finest early Victorian architecture in the town, including lovely villas, colonnades, independent shops and galleries. It is a delightful area that also contains a pleasant park, that is well landscaped and has some nice planting, as well as being home to some interesting points of interest including the Clock House, Gloucester Lodge, North Lodge, South Lodge, The Lawn, Assembly Rooms, Crown House, Highlands Mansion and the lovely archway that takes you up to Upper Maze Hill. 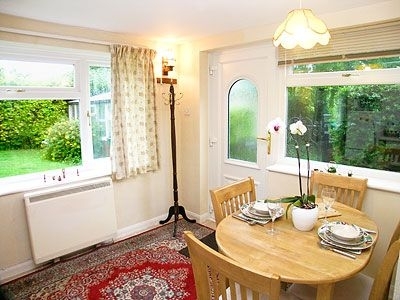 The area is well maintained and very clean and offers fabulous views of the park and the sea. There are sitting areas where you can stop and admire the views. Guided walks of the area are operated in the summer months, taking in a number of buildings of interest and you get a full history, very interesting and informative, they last about an hour and a half and take a maximum of twenty people, there is no charge for the walk but they do accept donations, full details are on the website. There is also an annual festival that commerorates the history of the area. Burton St Leonards is a delightful area to walk around and explore particularly if you have an interest in history and architecture. Nucleus Arts strives to introduce the public to the beauty that is fine art. This charitable organisation has been serving the community for over 12 years. Art lover and the curious can explore a large, diverse collection of stunning pieces. Don't forget to stop by the Cafe Nucleus for a freshly cooked meal.